Forget rhetoric and oratorical skills. These two politicians prefer to use slaps, dance offs, and fighting with bubbles to get their points across. If that doesn't work, a good old-fashioned smear campaign could do the trick. In suits and ties. 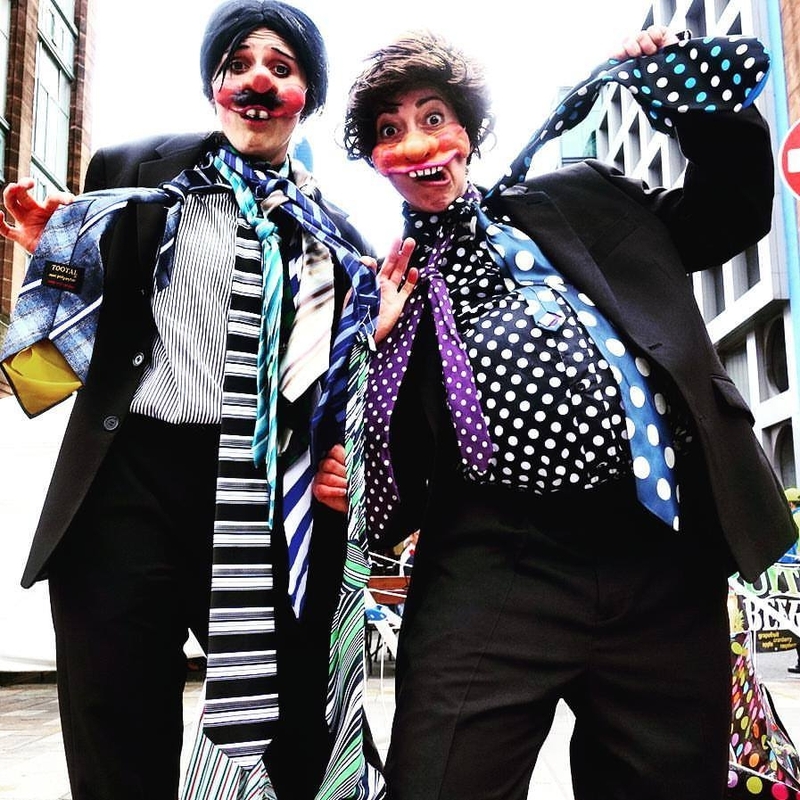 The show has played at Edinburgh Fringe Street Events on the Royal Mile SURGE/Merchant City Festival, Physical Fest in Liverpool, SOLAS Festival in Perth, and PITCH in Edinburgh! A nice shout-out from Herald Scotland here!